Scores 29 Highway MPG and 19 City MPG! 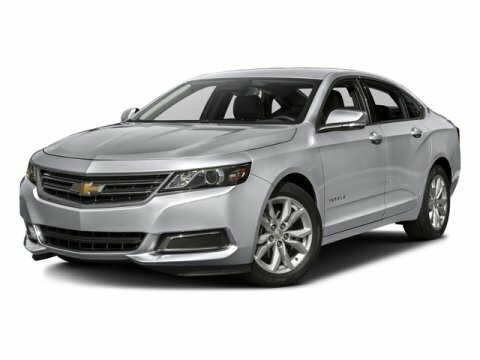 This Chevrolet Impala boasts a Gas/Ethanol V6 3.6L/217 engine powering this Automatic transmission. WHEELS, 18" (45.7 CM) PAINTED ALLOY (STD), UNIVERSAL HOME REMOTE includes garage door opener, 3-channel programmable, TRUNK MAT, CARPETED. *This Chevrolet Impala Comes Equipped with These Options *LEATHER PACKAGE includes (KA1) heated driver and front passenger seats, (AG2) 8-way power front passenger seat adjuster and (AP9) cargo convenience net, DRIVER CONFIDENCE PACKAGE includes (UEU) Forward Collision Alert, (UFG) Rear Cross-Traffic Alert, (UFL) Lane Departure Warning and (UKC) Side Blind Zone Alert, CONVENIENCE PACKAGE includes (UD7) Rear Park Assist, (UVC) Rear Vision Camera, (DD8) auto-dimming inside rearview mirror, (BTV) remote vehicle starter system, (UG1) Universal Home Remote, (B58) premium carpeted front and rear floor mats and (B36) carpeted trunk mat , TRANSMISSION, 6-SPEED AUTOMATIC, ELECTRONICALLY-CONTROLLED WITH OVERDRIVE (STD), TIRES, P235/50R18 ALL-SEASON, BLACKWALL (STD), SILVER ICE METALLIC, SIDE BLIND ZONE ALERT, SEATS, HEATED DRIVER AND FRONT PASSENGER, SEATS, FRONT BUCKET (STD), SEAT ADJUSTER, FRONT PASSENGER 8-WAY POWER. * Visit Us Today *A short visit to Bleecker Buick GMC located at 926 E 4Th Ave, Red Springs, NC 28377 can get you a trustworthy Impala today!